Yaskawa Motoman has released a new interface supporting NI LabVIEW programming of Motoman® industrial robots. 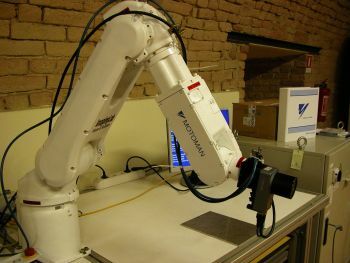 Developed in collaboration with National Instruments and ImagingLab, the library allows users to configure, program and deploy Motoman robots all from within the LabVIEW system design software environment. "Our goal is to help facilitate easier adoption of robotics into the assembly, quality control, and test & measurement markets," said Erik Nieves, technology director for Yaskawa Motoman. "Allowing users to program Motoman robots through LabVIEW has significant benefits including programming robots within their preferred software environment and full access to all standard LabVIEW tools." The LabVIEW library is compatible with the complete line of Motoman robots, including 6-axis robots (from 3 kg -- 600 kg payload), SCARA robots, delta robots and our advanced dual-arm robots.